Lit channel letters. 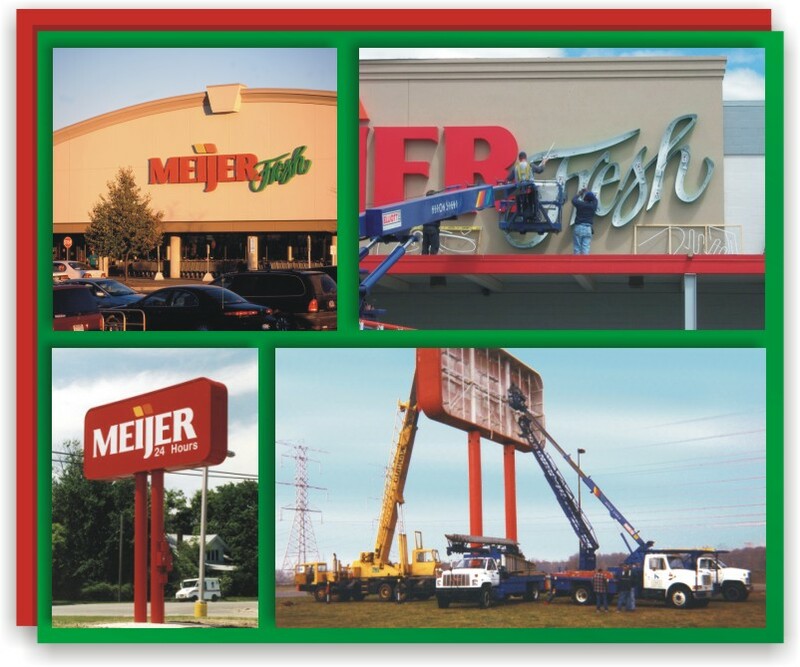 Meijer is one of our oldest and largest clients. Signage includes wall letters, monuments, pole signs and gas station signs. We've worked with them on "freshening up" their look.